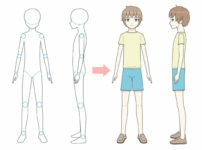 The example of the boy used in this tutorial can be around 10-15 years old. But when it comes to anime older characters can sometimes be drawing look much younger. So this type of character could also be used for drawing a high school student. Please keep in mind that there is no one clearly established way to draw anime characters. The proportions and placement of the facial features vary greatly based on style and the artists preferences. 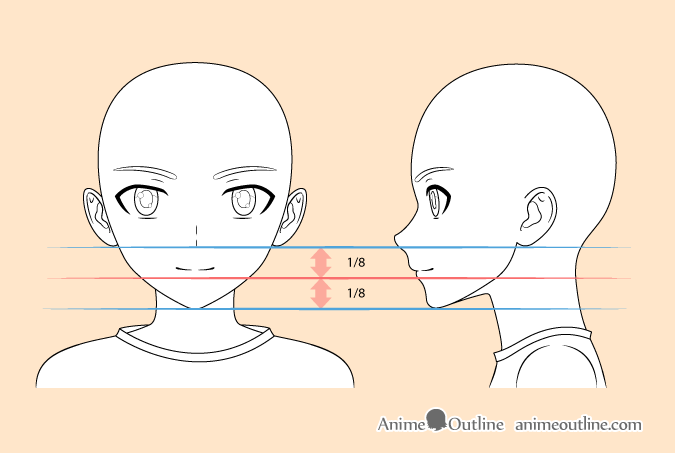 What this tutorial does is provide general guidelines for drawing anime or manga facial features that can be very helpful if you are trying to learn to draw in the style. If you are going to be following the tutorial using pencil and paper be sure to draw very light lines for the initial steps so that you can easily erase different parts of the drawing if needed. If you are drawing digitally your options will depend on your software. 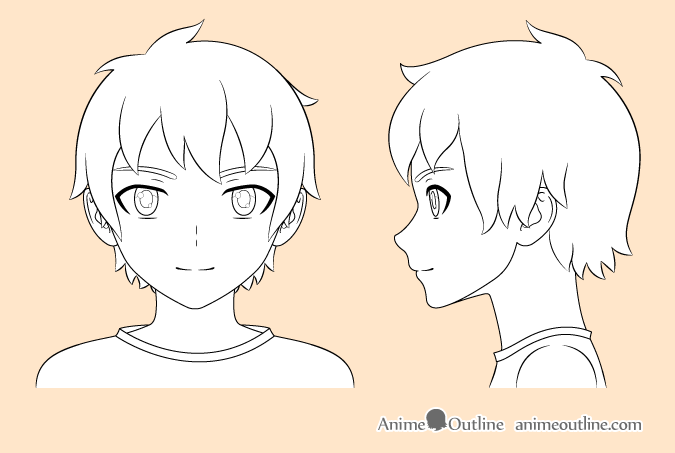 Since we are drawing a boys head we will want to draw a fairly round face as longer face make a character look older. To draw the head in the front view first draw a vertical line to help you insure that both sides are equal. Draw the top of the head close to a half-circle and from that draw two downwards lines going towards one another. Draw another set of lines from those lines that will meet to form the chin. 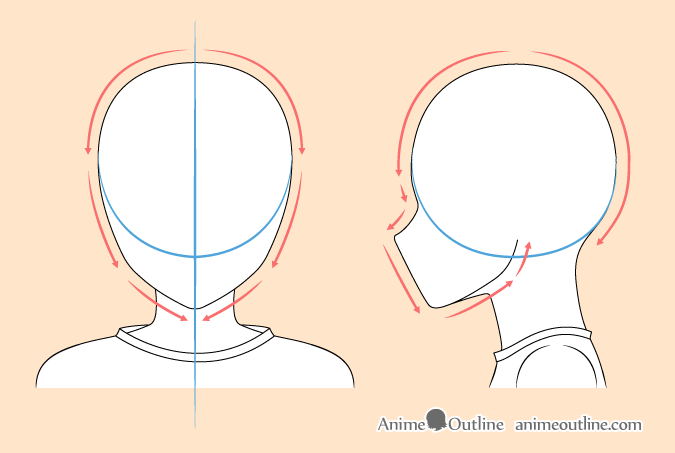 To draw the side view of the head draw the top of the head close to an oval in shape and then draw the nose/jaw area on top of that. 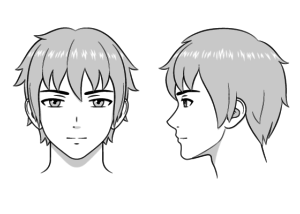 When drawing the side view of the boy’s head avoid drawing lips for the initial sketch. You can also simply estimate where the nose should go. For correctly placing the nose you can see step four of the tutorial. To place the ears draw a horizontal line through the middle of the head. Between this line and the chin draw another horizontal line. The ears will be roughly as tall as the distance between these two lines. 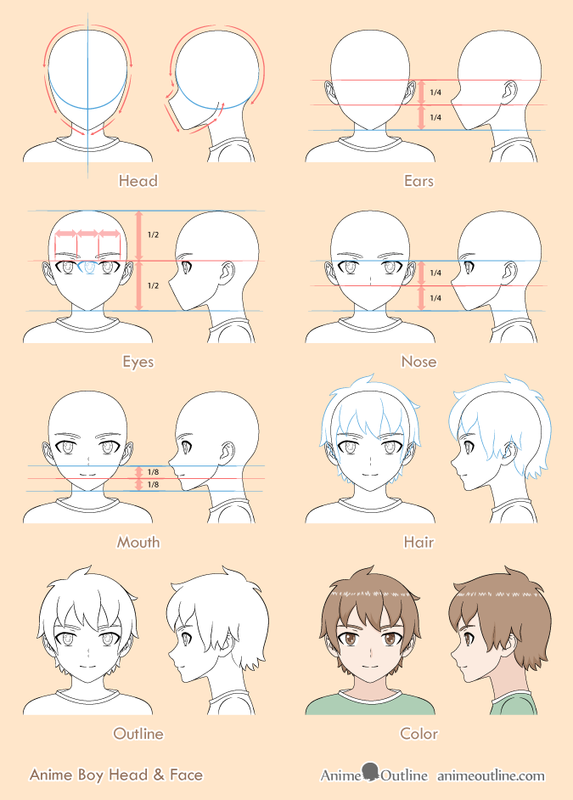 Please note that real ears are farther up in the head but since we are drawing an anime boy and not a real one we will use different proportions. 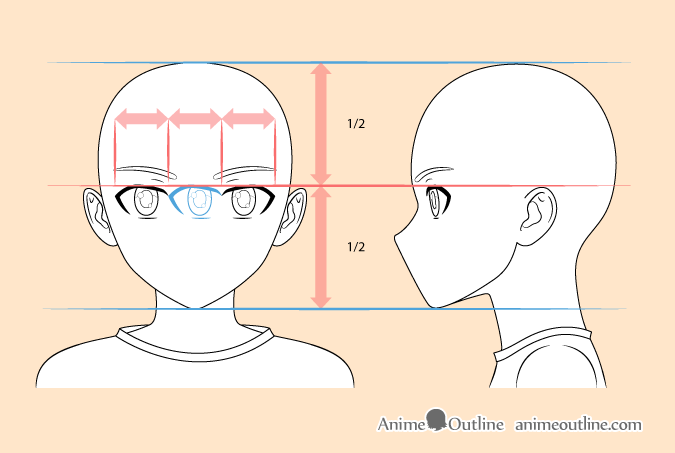 To draw the eyes you can once again use the horizontal line through the middle of the head. Draw the eyes directly below this line. Again note that real eyes are typically drawn directly on this line or above it. 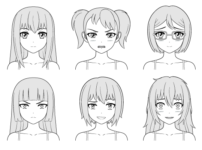 Anime characters generally have their eyes drawn much lower down on the face. Since we are drawing a young boy the eyes should be fair wide (tall). Bigger and wider eyes give a character a younger appearance. Draw the eyebrows slightly above the eyes. You can also draw a hint of the eyelids between the eyebrows and the eyes. To place the nose draw another horizontal line between the horizontal line halfway through the face and the chin. Draw the nose above this line. Yet again note that real noses are higher up on the face. 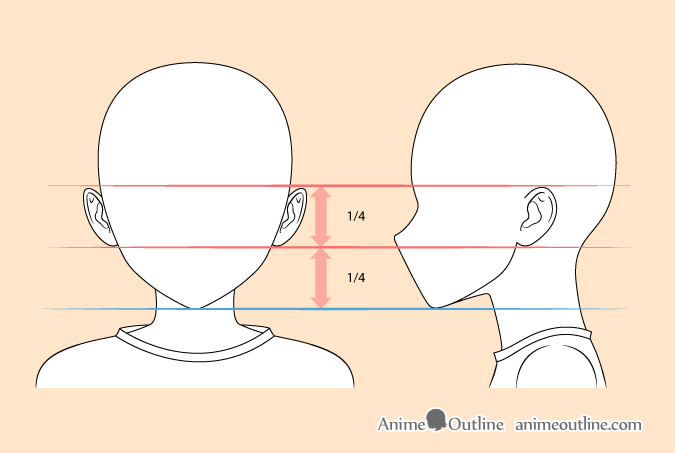 However anime noses can be drawn even farther down if you are drawing characters with really big and tall eyes. To draw the mouth draw yet another horizontal line between the line used for the nose and the chin. But instead of drawing the mouth directly on this line you will want to draw it slightly above. The reason being is that this line will actually give you the placement of the bottom lip which in anime is very often not drawn at all. 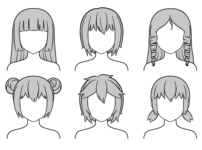 While there are many ways to draw anime hair generally it tends to be drawn in fairly large clumps. In this case we will draw a fairly messy hair style. 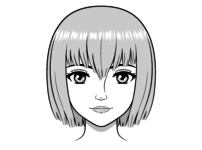 Once all of the facial features are placed and you finished drawing the hair clean up all of the guidelines and erase the parts of the head that are hidden by the hair. You may want to go over your drawing with a thicker stroke or darker lines as well. 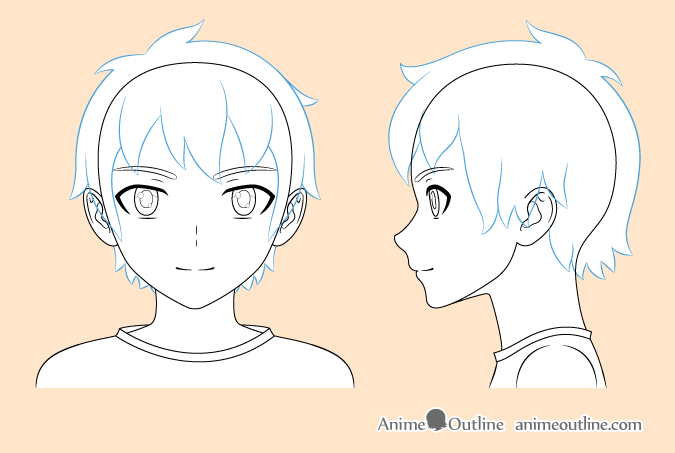 Once you are done you should have a nice and clean outline drawing of an anime boy’s head and face. 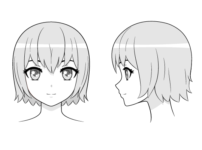 The shading technique used for anime and cartoons in general is called “Cel Shading”. In short it’s a form of shading where there is no gradient but a hard line between the normal and shaded areas. 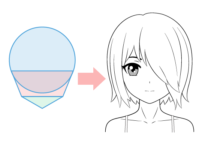 For the sake of this tutorial we will apply very generalized shading. Meaning that we will shade the areas that in most normal lighting conditions tend to be dark. In this case it will be the neck and bottom ends of the hair that curve inwards towards the face. You can also add some drop shadows form the hair, eyelashes and a shaded area on one side of the nose (generally this will be opposite of where the light is coming from). The brightest areas will be the reflections in the eyes and the highlights in the hair. You may want to leave these completely white or just very lightly shade them in. To color and shade the drawing first fill in each area with it’s respective color and then apply the shadows over top. If you are drawing on paper leave the highlights/reflections white. If drawing digitally add them after you’ve filled in everything else. 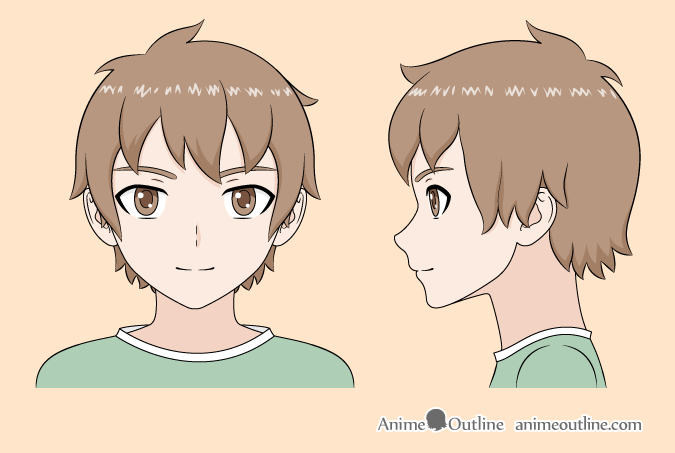 There are many ways and styles to draw an anime character but as mentioned this tutorial provides you with some guidelines to help achieve a more common anime look for a young male character.